This older 3 BR/1 BA Home with GREEN TIN ROOF, some REPLACEMENT WINDOWS, 2004 H&A UNIT, DETACHED GARAGE & 2 CARPORTS is situated on 2 CITY LOTS. 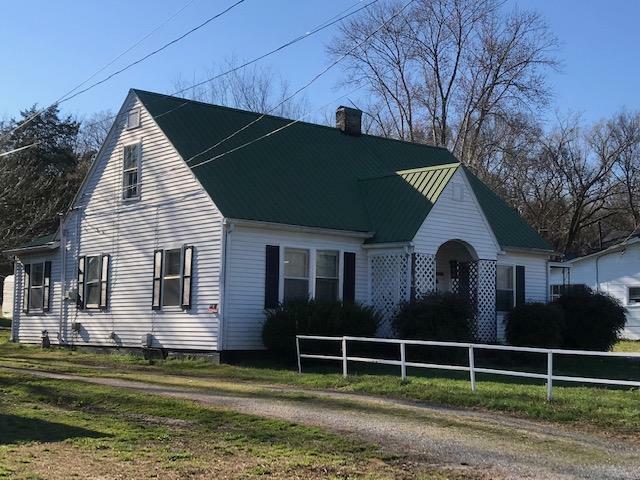 The home needs some TLC, but has great potential, with the necessary improvements and/or repairs. Some features include a LARGE LIVING ROOM and a FORMAL DINING ROOM w/FRENCH DOORS (ADDITIONAL PHOTOS TO FOLLOW). A SEPARATE LOT (75'x139'-TAX ID 127D B 009.01) is included with the purchase of this home. HOME BEING SOLD IN "AS IS" CONDITION.